On December 6, 2018, the Ontario Government announced Bill 66, Restoring Ontario’s Competitiveness Act, 2018, proposing more than 30 amendments to existing legislation. OFB By-laws would streamline provincial zoning approvals for qualifying developments. Further, passing an OFB By-law would require no advanced notice or public meeting prior to enactment and would not be subject to an appeal process before the Local Planning Appeal Tribunal. ix. Section 41 of the Planning Act, and its site plan control process (municipalities would still, however, have the ability to impose site plan related conditions); and, more. Bill 66 has faced criticisms from several groups, including environmental protections groups. Nonetheless, the Bill passed its first reading and underwent its second reading last week; it remains under consideration. Landowners and developers should pay attention to how Bill 66 progresses, due to the potential implications on the development process in Ontario. For more information on the matter, please contact Vanessa Battista directly at [email protected] or at 905 763 3770 x 217. 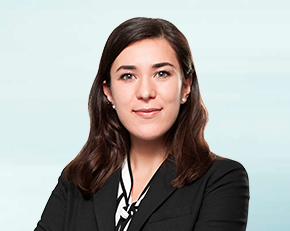 Vanessa Battista is the 2018-2019 articling student at FIJ Law. Vanessa was our Summer Student in 2017 and she is excited to return to complete her Articling with the firm and gain experience in each area of expertise the firm has to offer. Imagine going to pick up a registered letter and it turns out to be a notice that you are in default on your mortgage. The problem is – you paid off your mortgage 5 years ago and title to your house has been free and clear ever since. Or so you thought. Your initial reaction might be that it’s a joke or some kind of scam (despite the absence of a reference to a foreign prince). That would be completely normal. But imagine your horror when a simple search of title does, in fact, disclose a $300,000.00 mortgage registered on title to your house 8 months earlier. As much as we’d like to believe that this scenario couldn’t possibly happen, it does – and with greater frequency than one might think. Mortgage and other variations of title fraud have reached near-epidemic levels over the past half decade or so. Criminals have become very sophisticated. They often prey on people with gambling debts or other vice-related financial issues, persuading them to provide the documents and/or access to relatives’ property that is needed in order to perpetrate the crime. Once a fraudster obtains access to a property owner’s ID (which can be replicated, inserting an imposter’s photo) and access to the subject property (to have a legitimate appraisal conducted), getting a lender to advance hundreds of thousands of dollars to someone they believe to be the owner is easy. Add to the mix an unsuspecting lawyer to register the mortgage and receive and disburse the funds to the fraudster, and the fraud can go undetected until the lender initiates collection proceedings against the real owner months later. Fortunately the victims of such crimes have recourse to either the courts (by way of action or application), or more simply, to the Director of Titles who has jurisdiction under the Land titles Act to conduct a hearing to determine if a registered instrument is fraudulent, as defined in the act, and if so, delete it from title. Generally these situations are covered by title insurance (which every owner and lender should have), in which case the insurer would retain counsel to initiate proceedings to seek to have the fraudulent document deleted from title, and in the interim, prevent any enforcement proceedings from being taken or continued against the property owner by the lender. Our firm has considerable experience in dealing with all types of title fraud and related matters. Should you ever have the misfortune of encountering one of them, please feel free to contact us. For more information on the matter, please contact Phil Polster directly at [email protected] or at 905 763 3770 x 208. 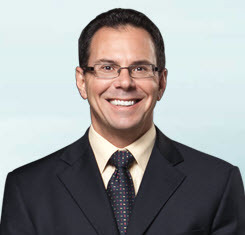 Phil Polster is a civil litigator with more than 30 years of litigation experience. Phil’s practice includes debt collection and a wide range of general contract and tort litigation. Identifying issues, evaluating options and providing clear advice, he helps clients make informed business decisions. He focuses on minimizing risk and finding timely, practical solutions to business disputes.